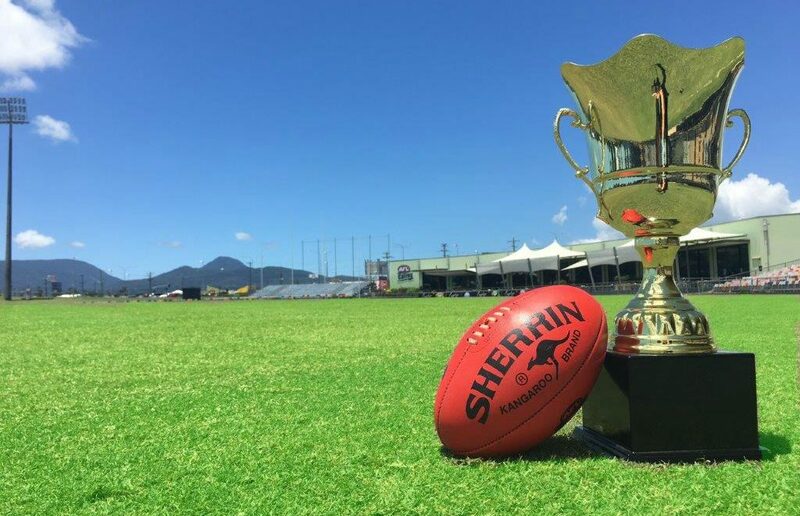 THE AFL Cairns premiership Cup will reside in Port Douglas for a third straight season after the Crocs held off a gallant Cairns Saints in the 2018 grand final. The Crocs made it three premierships in a row at Cazalys Stadium on Saturday afternoon, 12.17 (89) — 6.7 (43). Crocs on-baller Joshua Lea was a standout while wily veteran Peter Bury added his experience after missing recently through injury. Kicking with the breeze, the Crocs wasted their chances in the first term and could only take a three-point lead into the opening change with Saints full of confidence. It took Saints two minutes to cash in with the breeze, booting two goals straight after the restart in the second stanza. But, from then on, the all too familiar Port Douglas machine kicked into gear. Port Players celebrate their win at the AFL Cairns grand final between Cairns Saints and Port Douglas, Cazalys stadium. PICTURE: JUSTIN BRIERTY. Captain Kye Chapple added two quick goals early in the third term to skip clear before his forward partner Daniel Moore booted one late in the quarter to push the margin to 26. Saints could not reel the deficit in during the fourth term as Port held on to make it four premierships in five seasons. Earlier in the day, Pyramid Power claimed their first ever reserves premiership with a win over Port Douglas while Manunda beat North Cairns in a thriller in the women’s decider.